Fish is great to prepare. You can almost never fail it. Boil, smoke, roast, grill … Everything works and is so good. Wish I could eat fresh fish more often, but in the absence of there’s frozen. I think we all need to eat more fish and sea food as it´s so healthy and good for all of us. This salmon did served with the Mashed potatoes available in the post below. Served it with Hollandaise sauce. Superb simple and so yummi. 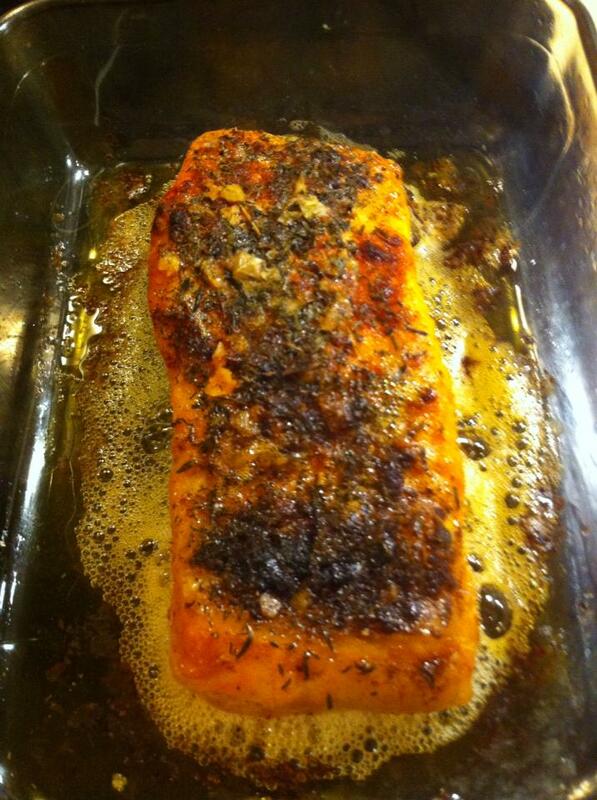 Rub salmon with spices and let it get to stand in a cool place for a few hours. 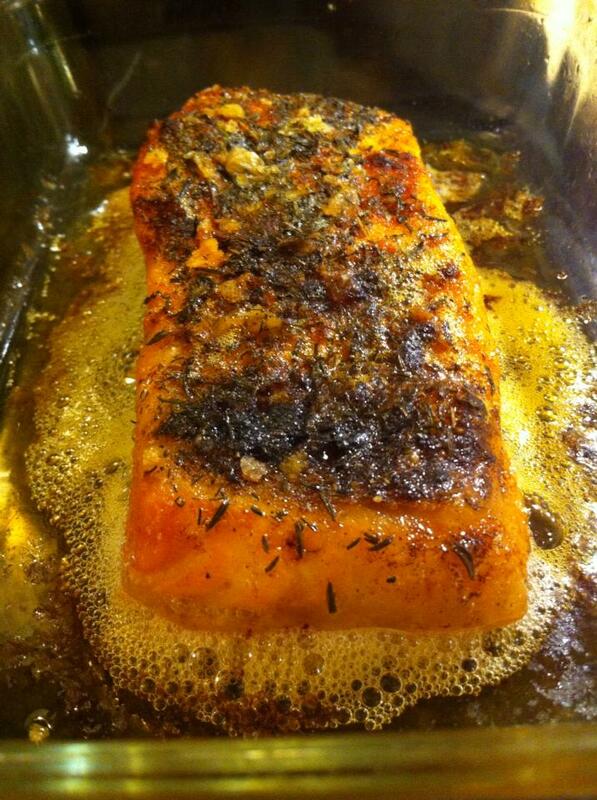 Place the fish in an ovenproof dish and with a few pats of butter on top. In the oven 225 c for 15-20 minutes or until the fish had a nice color. Fish being the only meat I eat, salmon is always one of my favorites! I can’t wait to try this recipe!